This is the story of the living family of a fictional popular English musician, Richie Rossiter. 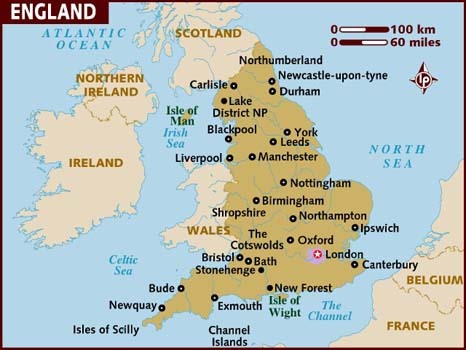 Richie had come from Newcastle, but had abandoned his first wife and son, moved to London, and started a new family. The story explores the aftermath of his death and how these scattered people overcome their grief, loss, and hurt. This was a fairly helter skelter story of these characters. The protagonists are divided into Richie's first family, Margaret and Scott, his first wife and son and his second family, his daughters Tamsin, Dilly, and Amy and their mother, Chrissie. I was extremely frustrated with the behaviour of the second family following the death of Richie. They continually expressed resentment and disdain for Richie's first wife and son, forgetting entirely that Richie had completely abandoned them, never keeping contact, never dividing his love or loyalty from his second family. I was frustrated for Richie, not being able to understand how he could simply walk away from his family of more than 20 years, especially his own son, who was 14 years of age at the time. I was further frustrated at the rudeness of the second family and their inability to even try to understand that Margaret and Scott might need to mourn as well. However, as the novel went on, things settled. I began to feel compassion for Chrissie. She was left mid-step, never expecting to be left, not having made any plans, and completely unprepared. On top of her own grief, she still had to be a mother to her daughters. I can't imagine having to balance grief and the responsibilities of parenting. The book explores how each individual character struggles under the aftermath of the death of Richie. 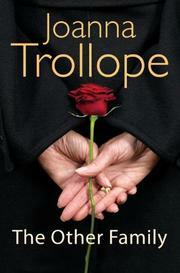 Joanna Trollope did a good job of describing the chaos and stagnation of grief. That feeling of being frozen mid-step, not knowing what to do or where to go, but understanding that the present is somewhere between unpleasant and unbearable. Due to the two families, the novel came to a dual conclusion. The second family was tightly bonded. For them to move on from their grief, they needed to disband, to begin to fight for themselves, to get up, grow up and take care of themselves. Their unity in grief was in fact holding them all back. No one was able to move on. So, they had to all move on, together, but separately. The first family, however, being already disconnected, began to bond in their grief. Amy, a daughter of the second family, acted as a catalyst between the families. Though she did not succeed in uniting the two families, in taking care of her own grief, she follows the urge to know what he father's life was like before he came to London. 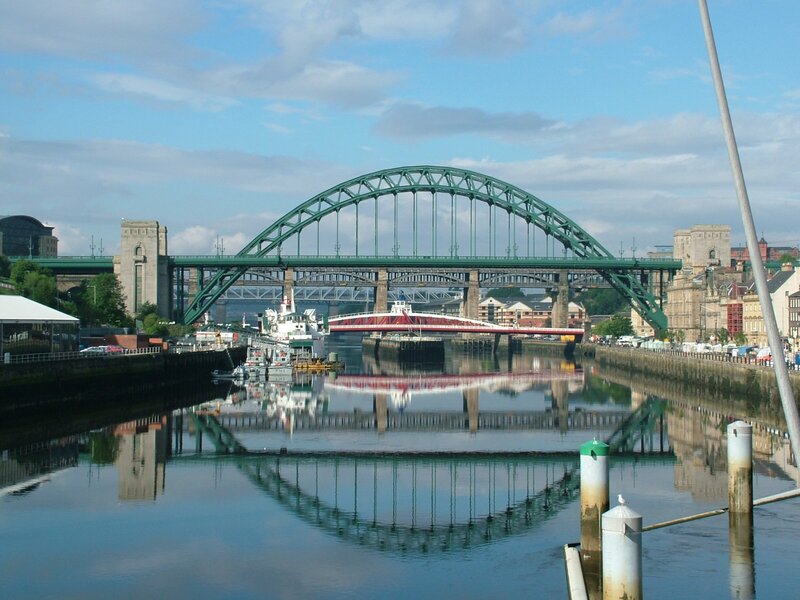 She heads north to Newcastle and connects with Richie's first family, particularly his son. This is a trip of healing for Margaret, Scott, and Amy. Amy is depicted as someone slightly wiser than her sisters and mother for the very reason that she is able to see beyond herself, her own grief, and her situation. 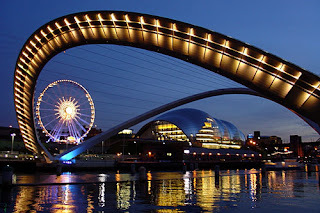 I thoroughly enjoyed the part of the book when Amy visits Newcastle. For one, the mood of the book changes at this point. It goes from a tale of grief to a tale of healing. For two, having spend some time in Newcastle myself, I appreciated her thrill as she explored the area and the imagery of familiar places. 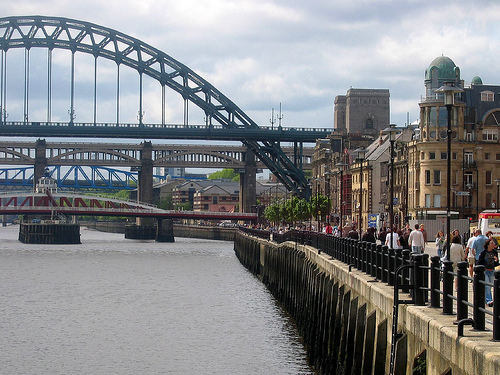 Newcastle is certainly a beautiful city. Ultimately, this is a story of healing. It was both frustrating and interesting as the author explored the emotions and reactions of grief of the protagonists. The plot is both sad, dealing with death and grief, but also pleasant as the characters find their way out of grief and back to the land of the living. Despite the heavy theme, however, this book is an easy and light read. A nice holiday book. It was a good distraction from my own life and I enjoyed letting myself get caught up in the plot and the lives of the characters. 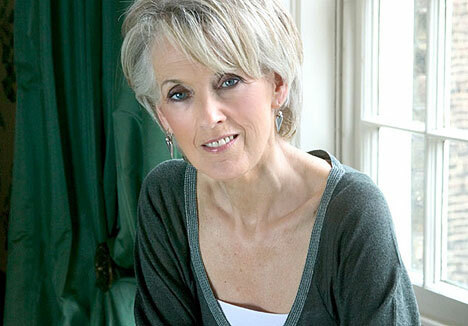 Joanna Trollope was born in 1943 in Gloucestershire. She went to St Hugh's College at Oxford before working at the Foreign Office from 1965-1967. She then worked as a teacher until 1979 and began working full-time as a writer in 1980. At some point she seem's to have earned the Order of the British Empire, but details are vague. She currently lives in London. 1. I appreciated Amy's boldness and her ability to see beyond the general sentiment of her family and reach out to another family, her father's first family. 2. 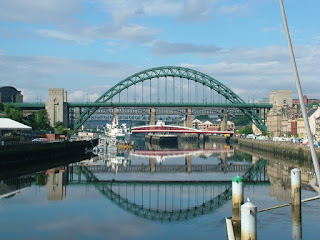 I loved the exploration of Newcastle. 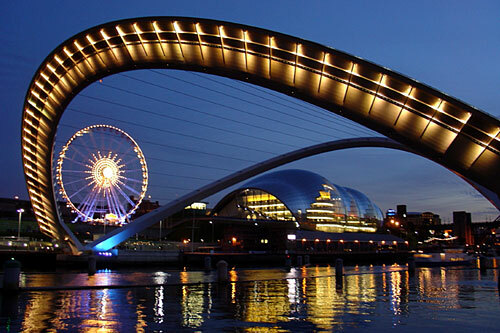 It is a beautiful city, and a city in which I have some very fond memories. I was pleased that the novel depicted it as a fantastic place and a place of tradition and new beginnings. 3. The varied conclusions. I appreciated that no one recipe to resolve grief was given. I also appreciated, I would say, unique idea, of overcoming grief with separation, rather than the usual message of banding together. Each has its place, separation and togetherness.